When you see fashionable clothes, modern scarves, fancy billboards, and pedestrians in a rush, you know you’re in the city. 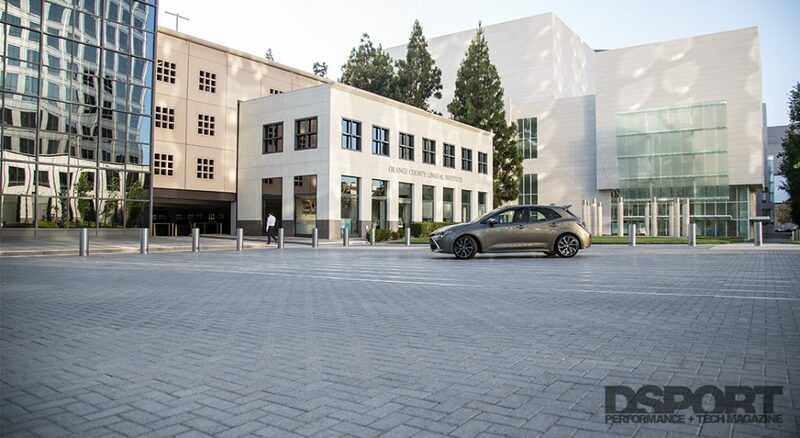 Toyota recognized that the city knows what’s cool and introduced the 2019 Corolla Hatchback XSE: the ultimate city car. Stylish, compact, modern, and a tad crazy, this car is far from boring. Although the Corolla was never on DSPORT’s radar, seeing Formula Drift’s driver Fredric Aasbo shred the tires off of his Corolla Hatchback was enough motivation for us to explore what the factory version can do. We had to give this sharp-looking 2019 Toyota Corolla Hatchback XSE a shot to see if the heart matches the face and if the platform has potential that the tuning market may be interested in looking into. No two people can argue that Toyota has stepped up their game in regards to styling. 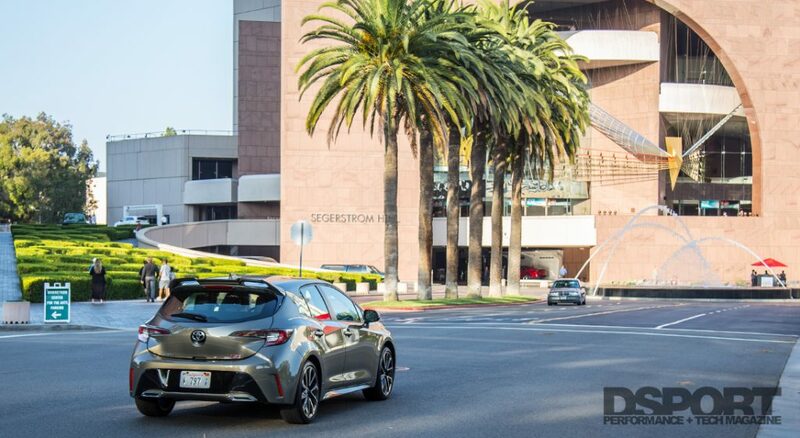 Upon approaching the rear of the Corolla Hatchback, you are welcomed with a tasteful spoiler that screams, “I’m young, and I know it!” The sharp LED taillights, dual exhaust tips, and the red XSE badge could only mean one thing: this car is for the youngsters. The exterior continues its sharp lines across the entire car, and the slight fender-flares is an unexpected touch from the Japanese automaker. The front features a Bi-LED combination headlight with auto on/off technology, as well as an Adaptive Front Lighting System. The giant front grille makes you feel like you are about to enter a rally car. Although it may be too large, you can’t deny its aggressive feel. Overall, the exterior is a positive step from Toyota towards a sporty hatchback. Keeping up with the trends, the Corolla’s interior is extremely simple. This is certainly a breeze. There is nothing worse than having 10 buttons when you can put it all in the infotainment system. 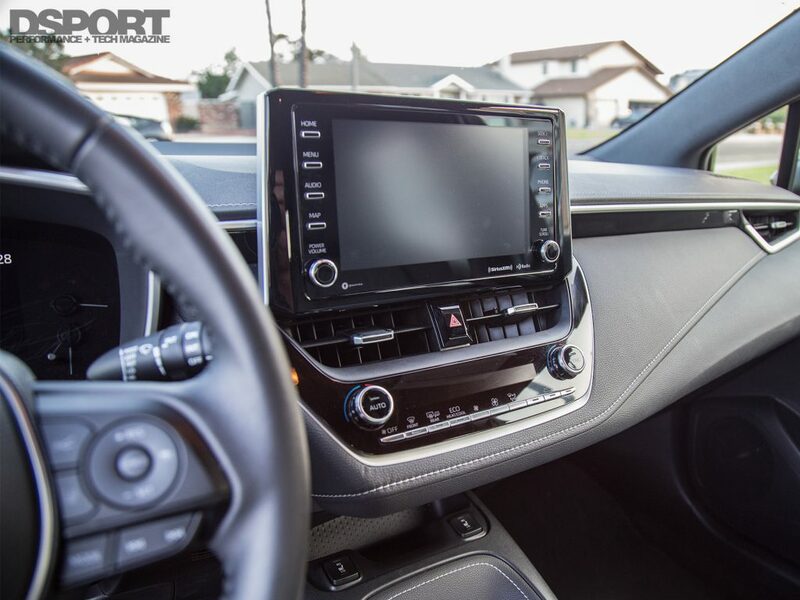 Unfortunately, the 2019 Toyota Corolla’s infotainment system feels old and lacks responsiveness. Despite packing advanced technology like Apple CarPlay (sorry Android users, you should ’ve thought about that when you chose to rebel), it could easily leave you frustrated. Sitting in the driver seat, you are welcomed with soft-touch materials on the dash, the door panels, and the armrests. Road noise is minimized due to the acoustic noise-reducing front windshield. As for the cabin quality, the Corolla matches its price tag with decent-enough materials all around. If you’re looking to feel young, the futuristic design of the cabin will definitely give you just that. Weighing in at just 3,023 lbs, the chassis is a great platform for tuners. 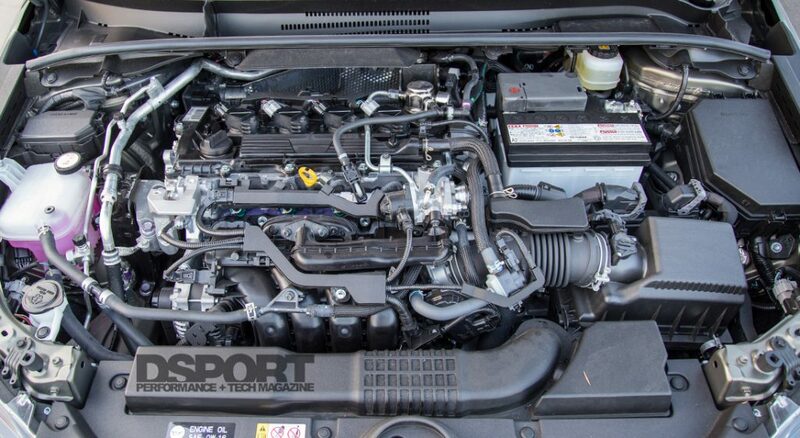 Under the hood is a 2.0-liter Dynamic Force 4-Cylinder DOHC 16-Valve D-45 Dual injection with Dual VVT-i. This naturally aspirated engine is rated at 168 horsepower at 6,600 rpm and 151 lb-ft of torque at 4,800 rpm. We strapped our Oxide Bronze Corolla to our Dyno to see how much power and torque actually make it to the wheels. In a very impressive turn of events, the Corolla put down 164.94 of peak horsepower and 144.84 lb-ft of torque to the front wheels. 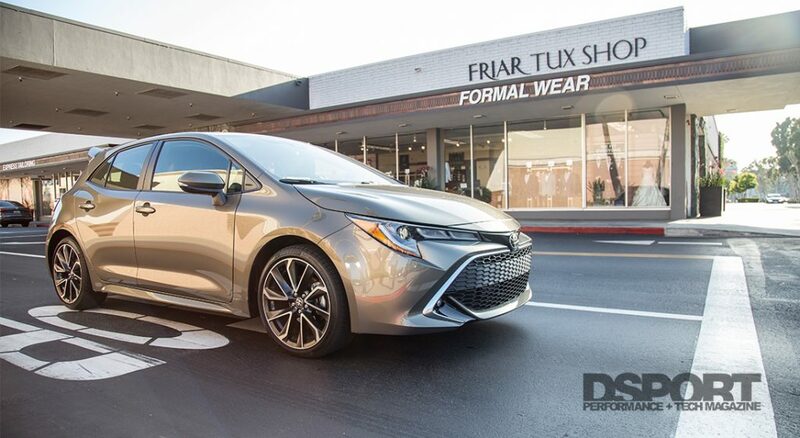 The rule of thumb is to expect 15% drivetrain loss between the engine and the wheels, but the Corolla only showed 1.8% loss in horsepower and 4% loss in torque. The all-stock Corolla delivers a smooth power curve with barely any dips until redline. The torque curve comes on strong at 2,250 rpm to around 2,700 rpm, then stabilizes. This allows for quick enough acceleration to get you up to speed, then slowly climbs its way up the speedometer, making it a great platform for city-driving. The biggest surprise, however, is in the handling department. We didn’t think we would live to see the day a Toyota Corolla could tackle twisty roads and put a smile on your face in the process. Thanks to the Independent MacPherson strut front suspension, as well as the Multi-link rear suspension, the hatch can take corners confidently without worrying too much about a rough road surface. The DUNLOP P225/40R18 tires are all about the fun as well, making traction one of these car’s strong points. The 2.0-liter engine delivers consistent power. The torque comes on early and the power builds up, leaving you with enough response throughout the entire band (just barely enough). However, the clutch feels like you’re stepping on clouds, but not in a good way. When driving a manual transmission, you seek the engagement between you and the car, but unfortunately, this clutch leaves much to be desired and a lot of jerkiness that will quickly get old. On the bright side, aftermarket manufacturers are probably working hard right now on parts for this promising platform, so there should be no shortage of upgrades soon. The transmission comes with an iMT feature (Intelligent Manual Transmission), which helps with rev matching. 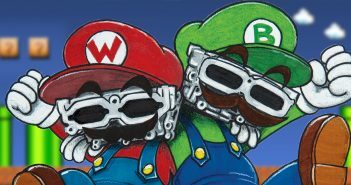 This technology helps, simply because if you decide to do it yourself, you will quickly learn how lazy the engine could feel at times and how slow it builds RPM. As is, the 2019 Toyota Corolla Hatchback XSE is a fun city car. If you’re looking for a first-car that is rewarding and hip, look no further. If you’re in the market for functional sports cars, this car may need some attention before it can satisfy these desires. If you want to have a Fredric Aasbo type-of-Corolla, you may find yourself disappointed. 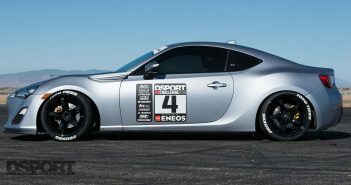 Aasbo and his team, Papadakis Racing, only used the looks and the logo of the Corolla hatch, along with a race-spec 2JZ, a RWD conversion, and more than 1,000 horsepower on tap. 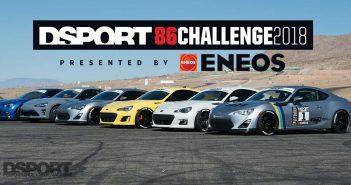 However, before you know it, you will be able to purchase aftermarket upgrades for this car, maybe change the clutch once and for all, and squeeze some power out of it with a solid tune and some supporting modifications. As soon as performance aftermarket support is available for this platform, we will be testing them out and bringing them to your attention, so be sure to stay tuned. For just around $24,000, the Corolla is a great foundation for what could potentially be an all-around great, sporty car. Check out the 2019 Toyota Corolla Hatchback XSE HERE.